Why is it Called The Blogging Buddha? Last week a friend asked me “how do I start a blog?” The question honestly caught me by surprise, why are you asking me? Because it feels like just last week I was puzzling over the same thing, when in reality I’ve been writing on how tech brands got their names for a few years now. I’ve only started one blog and was beyond clueless when I launched it, so I went Google hunting to make sure I was giving the best advice. I typed, “how to start a blog in 2017” and not surprisingly, a few ads and an instant answer box absorbed all the real estate at the top of SERPs, but as I slowly scrolled down the organic search results, a blog name and title tag jumped out at me, so I clicked on it! I landed on a step by step guide on how to start a blog written by Mike Brown, aka the Blogging Buddha. 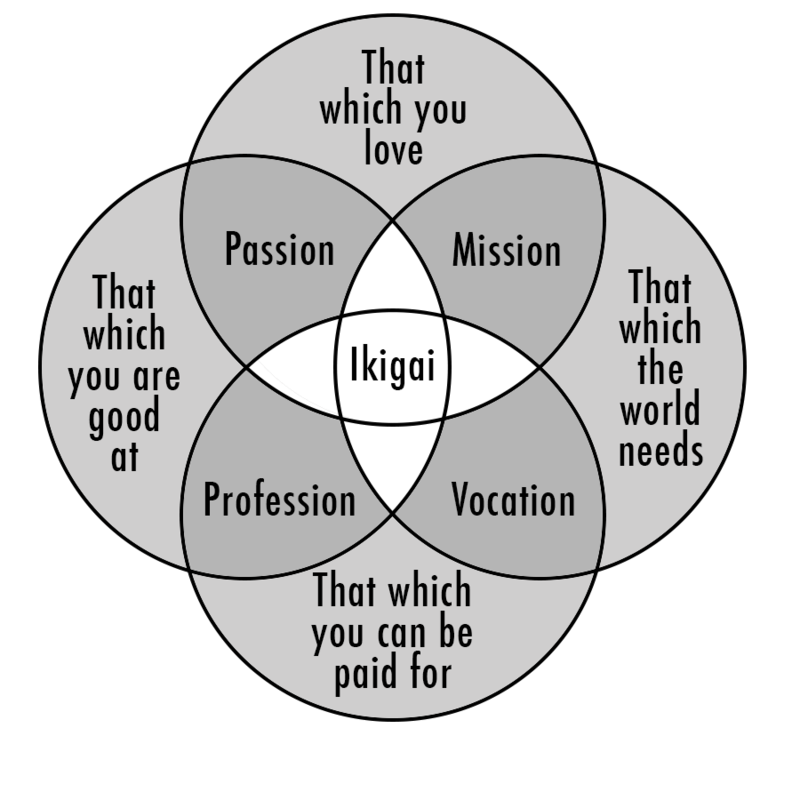 In the guide, Mike introduces a Japanese concept called “Ikigai,” which translates to “your reason to get up in the morning,” and can essentially act as a framework for discovering a niche topic for a blog. It was at this moment that I realized my friend may be less concerned on technical choices WordPress vs Squarespace, Dreamhost vs HostGator, Godaddy vs Namecheap, but more anxious about what the heck to blog about. Make a list of your competitors and spend some time reading their content. What articles rank well on Google? Which ones get the most shares and blog comments? What are they not covering that you could write about? 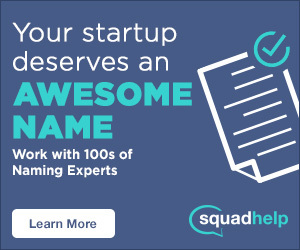 What are they writing on that you could make 10x better? After sharing handful of resources, I pinged Mike on LinkedIn and told him that I thought it would be fun to reveal the story behind how he landed on the blog name “The Blogging Buddha.” He agreed! 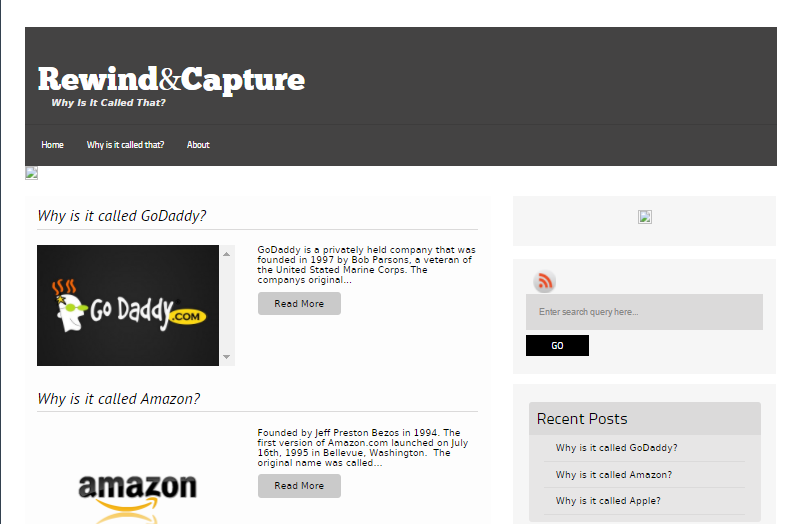 Below is the story behind the first blog name we’ve featured on Rewind & Capture. Why is it Called Blogging Buddha? I’ve been a long time student of the Manly P. Hall teachings and have a long time interest in esoteric studies. I currently live in Pasadena, CA which is not too far away from Philosophical Research Society founded by Manly P. Hall in 1934. A few years ago I came across a documentary called Inner World Outer Worlds, a two-part series available for free on YouTube. In this fascinating documentary dealing with spirituality and consciousness, they talked about sacred geometry. One of the discoveries made in this field of mathematics became known as Mandelbrot Fractals named after the mathematician Benoit Mandelbrot. A rendering technique related to the Mandelbrot Set became known as the Buddhabrot Fractal because of it’s resemblance to the classical depiction of Gautama Buddha. The Blogging Buddha is a “play” of words derived from the name Buddhabrot Fractal. What do you know about naming now, that you wish you would have known then? 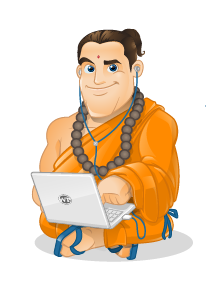 I don’t know much more about naming now than I did when I came up with The Blogging Buddha.. If you are asking about domain naming for SEO purposes, I now know if you are interested in ranking a site for a keyword and you are looking for an exact match or partial match domain name it’s very beneficial to register an “aged” domain. An aged domain will likely have an established Domain Authority (DA), assuming it doesn’t have a poor reputation by Google. Are you a full time blogger? How did you get into blogging? I am currently a full-time blogger but only because I’m currently in a unique position to dedicate all my time to building up my website. I found my way into blogging because of my professional involvement in the web hosting industry and the magnificent success of the WordPress CMS. I spent most of my adult professional career in the web hosting industry and have served in both the sales and marketing departments for well-known web hosting companies. It was during my tenure in the web hosting industry that I learned about WordPress, blogging, affiliate marketing, etc. In 2015 I had an opportunity to step away from working for someone else and I jumped in full time to solopreneurship with blogging. The best advice I could give someone who is thinking about starting a blog is to make sure it’s on the WordPress platform. If you are going to start a blog with the hopes of making a living, it’s absolutely crucial you first and foremost find a profitable niche before you do anything else. Once you have proven the niche you are interested in is profitable, then you can move forward with naming, logo design, website concept, content creation etc. The other bit of advice I would give is to network as much as possible. You are not going to become a successful blogger all on your own. You will need the help of other professionals in their respective professions. Learn from others as much as you can and don’t try to reinvent the wheel. With a little bit of luck and a lot of hard work, you will become a successful blogger. If you are thinking about starting a blog, you can read Mike’s in-depth guide here, skim his toolkit or take one of his online courses. What’s your go to naming tool, blog or resource? Comment below. Thanks for reading Why is it Called The Blogging Buddha? !